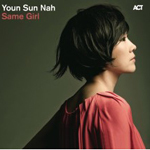 Since she moved to Paris in 1995, Korean jazz singer Youn Sun Nah has won over French and Korean audiences alike with her rather special voice; dramatic, sensuous and bluesy, it is a tantalizing cross between Hacke Bjorksten and Melody Gardot. Hers is a jazz soul. 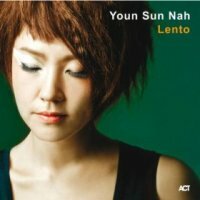 For years, she led the Youn Sun Nah 5Tet and has recorded a half-dozen CDs. The most recent, Voyage (ACT, 2009), sees her backed by some of Europe's finest jazz musicians, including Ulf Wakenius, Lars Danielsson and Mathias Eick. The French government honored her with a Chevalier des Arts et des Lettres award in recognition of her contribution to the arts, and she is beginning to attract attention beyond her adopted country (she made her London debut at the Vortex in May 2009)not bad for someone who, just before leaving Seoul for Paris in '95, asked a friend, "What is jazz?" Despite coming from a musical backgroundher mother is a classically trained musical actress, and her father is a conductorSun Nah was not groomed to follow in her parents' footsteps. She wound up working in the fashion industry after graduating. The route to her present status as a revered jazz singer in France has surprised Nah. "Even though my parents are classical musicians, I never thought that one day I could be a professional singera jazz singer," she explains. "My parents gave me the opportunity to hear a variety of music. They helped me a lot. Maybe unconsciously I trained my ear, so I'm so grateful." Disillusioned with her fashion, job Sun Nah quit and followed the advice of a musician friend who recognized her singing talent and suggested that she apply for a role in a comedy musical. Her audition was successful, though this was a bit unexpected. "I don't know why I got the role; I didn't have any special training before as a musical actress," Sun Nah says. Nevertheless, Nah performed in three musical comedies, and the experience gave her a certain amount of belief in her abilities. "After that, I thought maybe I could be a professional singer, but I didn't know what kind of music I could do. I asked one of my musician friends, a Korean bassist, and he told me that it was too late to be a classical singer because I was too old, and he suggested jazz. I asked him what jazz was, and he told me it is the root of popular music. 'Ohsounds interesting,' I thought, 'Yeah, maybe I can do that,'" Nah relates, laughing at the memory. "I was very naïve, and if I had known what jazz was maybe I would never have started," she says. "But I really liked French chanson, and I decided to go to France to study both." Before arriving in France, the singer had not listened to jazz, which is not entirely surprising given the lack of exposure to the music in Korea. In Paris, she was introduced to the music of Billie Holiday, Sarah Vaughan and Ella Fitzgerald. This was a revelatory and somewhat intimidating experience that had a profound impact on Sun Nah, as she vividly recalls: "It was unbelievable, unimaginable! They all had husky, deep, low voices, so I thought jazz was not for me. I mentioned to my teachers that maybe I should stop, but they laughed at me and said: 'Youn, you can sing with your own voice.' Really?" Recognizing that Sun Nah was daunted by the prowess of three of jazz's legendary singers, her teachers gave her records by Norma Winstone, Sidsel Endresen and Mari Boine. This exposure to mere mortal singers was a turning point. "These contemporary jazz singers gave me a lot of encouragement to pursue singing. Even though I love Sarah Vaughan, Billie Holiday and Ella Fitzgerald, I could never do the kind of things they've already done. So, I'm doing my stuff, trying to do my own thing," Sun Nah says. Doing her own thing has characterized Sun Nah's career to date. She formed a band in '96 with college classmates and gradually built a reputation in the capital and beyond, drawing the attention of French label Blue Note, who offered her a seven-year deal. Though most artists would give an arm and a leg for such a contract, Sun Nah declined the offer. "They wanted me to do a different thing and to have more influence over my music; I didn't want that," she says. "What I wanted most was musical freedom. That doesn't mean that they tried to force me to sing music I didn't likejust at that time, I really wanted to do something different.